Shop face makeup at Insta-makeup. Elevate your beauty with top-rated foundation, concealer and blush from top brands. Cosmetics are substances or products used to enhance or alter the appearance of the face or fragrance and texture of the body. Many cosmetics are designed for use of applying to the face, hair, and body. They are generally mixtures of chemical compounds; some being derived from natural sources (such as coconut oil), and some being synthetics or artificial.Common cosmetics include lipstick, mascara, eye shadow, foundation, skin cleansers and body lotions, shampoo and conditioner, hairstyling products (gel, hair spray, etc. ), perfume and cologne. Cosmetics applied to the face to enhance its appearance are often called make-up or makeup. Cosmetics are intended to be applied externally. They include, but are not limited to, products that can be applied to the face: skin-care creams, lipsticks, eye and facial makeup, towelettes, and colored contact lenses; to the body: deodorants, lotions, powders, perfumes, baby products, bath oils, bubble baths, bath salts, and body butters; to the hands/nails: fingernail and toe nail polish, and hand sanitizer; to the hair: permanent chemicals, hair colors, hair sprays, and gels. A subset of cosmetics is called “makeup”, refers primarily to products containing color pigments that are intended to alter the user’s appearance. Manufacturers may distinguish between “decorative” and “care” cosmetics. Cosmetics that are meant to be used on the face and eye area are usually applied with a brush, a makeup sponge, or the fingertips. Most cosmetics are distinguished by the area of the body intended for application. Primer comes in formulas to suit individual skin conditions. Most are meant to reduce the appearance of pore size, prolong the wear of makeup, and allow for a smoother application of makeup. Primers are applied before foundation or eyeshadows depending on where the primer is to be applied. Lipstick, lip gloss, lip liner, lip plumper, lip balm, lip stain, lip conditioner, lip primer, lip boosters, and lip butters:Lipsticks are intended to add color and texture to the lips and often come in a wide range of colors, as well as finishes such as matte, satin, and lustre. Lip stains have a water or gel base and may contain alcohol to help the product stay on leaving a matte look. They temporarily saturate the lips with a dye. 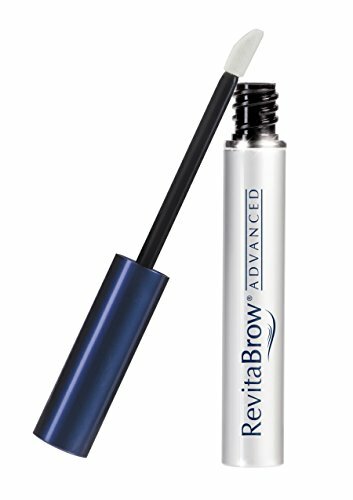 Usually designed to be waterproof, the product may come with an applicator brush, rollerball, or could be applied with a finger. Lip glosses are intended to add shine to the lips and may add a tint of color, as well as being scented or flavored for a pop of fun. Lip balms are most often used to moisturize, tint, and protect the lips. Some brands contain sunscreen. Concealer covers imperfections of the skin. Concealer is often used for any extra coverage needed to cover acne/pimple blemishes, undereye circles, and other imperfections. Concealer is often thicker and more solid than foundation, and provides longer lasting, more detailed coverage as well as creating a fresh clean base for all the rest of the makeup. 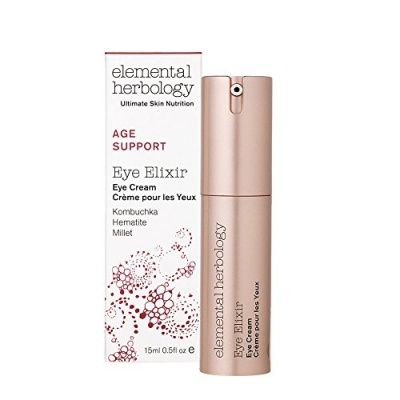 Some formulations are intended only for the eye or only for the face. This product can also be used for contouring the face like ones nose, cheekbones, and jaw line to add a more defined look to the total face. Foundation is used to smooth out the face by covering spots, acne, blemishes, or uneven skin tone. These are sold in a liquid, cream, or powder, or more recently in a mousse. Foundation provides sheer, matte, dewy or full coverage. Foundation primer is applied before foundation to fill out pores, create a dewy look or create a smoother finish. They usually come in cream formulas to be applied before foundation as a base. Face powder sets the foundation and under eye concealer, giving it a matte finish while also concealing small flaws or blemishes. It can also be used to bake the foundation, so that it stays on longer. Tinted face powders may be worn alone as a light foundation so that the full face does not look as caked-up as it could. Rouge, blush, or blusher is cheek coloring to bring out the color in the cheeks and make the cheekbones appear more defined. Rouge comes in powder, cream, and liquid forms. Different blush colors are used to compliment different skin tones. Contour powders and creams are used to define the face. They can give the illusion of a slimmer face or to modify a face shape in other desired ways. Usually a few shades darker than the skin tone and matte in finish, contour products create the illusion of depth. A darker-toned foundation/concealer can be used instead of contour products for the same purpose. Highlight, used to draw attention to the high points of the face as well as to add glow, comes in liquid, cream, and powder forms. It often contains a substance to provide shimmer. Alternatively, a lighter-toned foundation/concealer can be used. Bronzer gives skin a bit of color by adding a golden or bronze glow and highlighting the cheekbones, as well as being used for contouring. Bronzer is considered to be more of a natural look and can be used for an everyday wear. Bronzer enhances the color of the face while adding more of a shimmery look. It comes in either matte, semi matte/satin, or shimmer finishes. 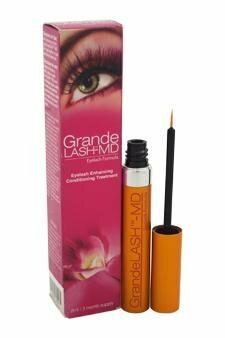 Mascara is used to darken, lengthen, thicken, or draw attention to the eyelashes. It is available in various colors. Some mascaras include glitter flecks. There are many formulas, including waterproof versions for those prone to allergies or sudden tears. 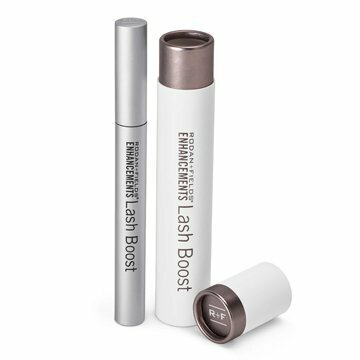 It is often used after an eyelash curler and mascara primer.Many mascaras have components to help lashes appear longer and thicker. Eye shadow being applied Broadway actor Jim Brochu applies make-up before the opening night of a play. Eye shadow is a pigmented powder/cream or substance used to accentuate the eye area, traditionally on above and under the eyelids. Many colours may be used at once and blended together to create different effects. 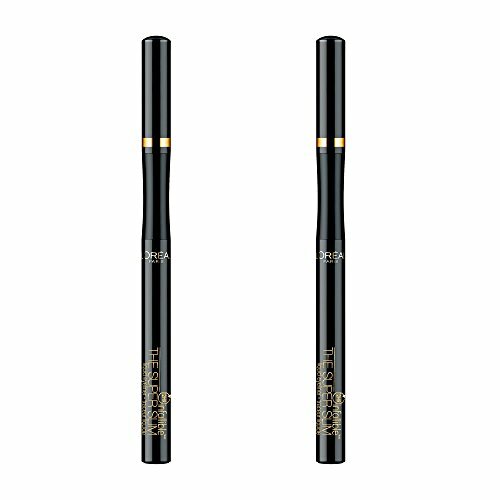 This is conventionally applied with a range of eyeshadow brushes though it isn’t uncommon for alternative methods of application to be used. The chin mask known as chutti for Kathakali, a performing art in Kerala, India, is considered the thickest makeup applied for any art form. 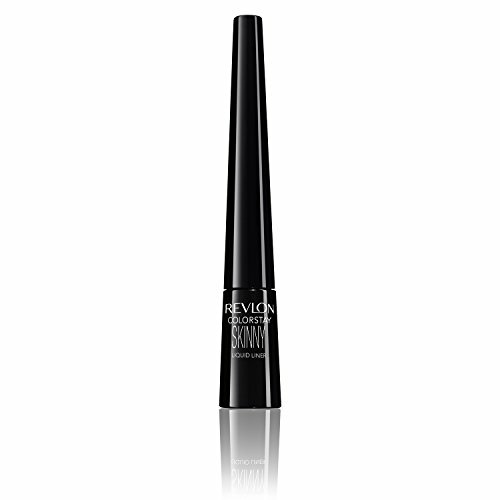 Eye liner is used to enhance and elongate the apparent size or depth of the eye. For example, white eyeliner on the waterline and inner corners of the eye makes the eyes look bigger and more awake. It can come in the form of a pencil, a gel, or a liquid and can be found in almost any color. 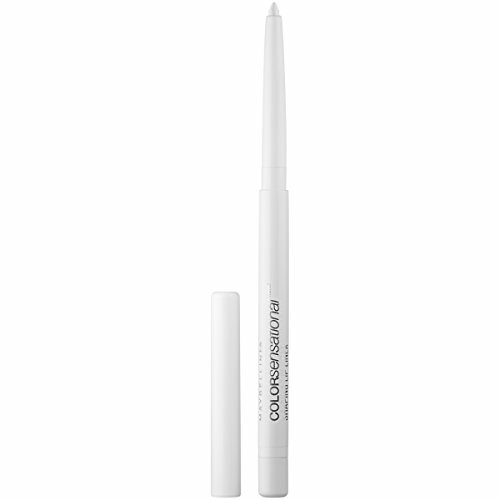 Eyebrow pencils, creams, waxes, gels, and powders are used to color, fill in, and define the brows. Nail polish is used to color the fingernails and toenails. Transparent, colorless versions may strengthen nails or as a top or base coat to protect the nail or polish. 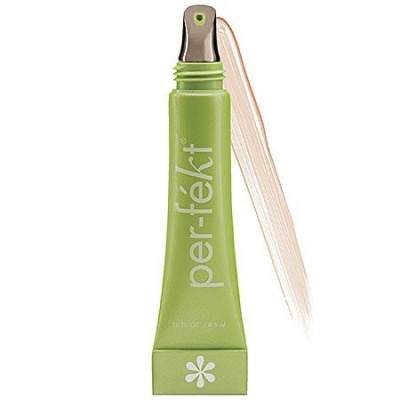 Setting spray is used as the last step in the process of applying makeup. It keeps applied makeup intact for long periods. An addition to setting spray is setting powder, which may be either pigmented or translucent. Both of these products are claimed to keep makeup from absorbing into the skin or melting off. False eyelashes are used when exaggerated eyelashes are desired. Their basic design usually consists of human or mink hair or synthetic materials attached to a thin cloth-like band, which is applied with glue to the lashline. Designs vary in length and color. Rhinestones, gems, and even feathers and lace occur on some false eyelash designs. Contouring is designed to give shape to an area of the face. The aim is to enhance the natural shading on the face to give the illusion of a more defined facial structure which can be altered to preference. 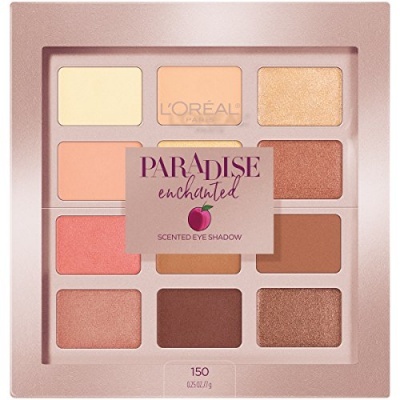 Brighter skin coloured makeup products are used to ‘highlight’ areas which are wanted to draw attention to or to be caught in the light, whereas darker shades are used to create a shadow. These light and dark tones are blended on the skin to create the illusion of a more definite face shape. It can be achieved using a “contour palette” – which can be either cream or powder. Cosmetics can be also described by the physical composition of the product. Cosmetics can be liquid or cream emulsions; powders, both pressed and loose; dispersions; and anhydrous creams or sticks. Makeup remover is a product used to remove the makeup products applied on the skin. It cleans the skin before other procedures, like applying bedtime lotion. Micellar waters are becoming a more common product used to remove makeup. It acts as a two-in-one by removing the makeup and cleansing the skin.